Does your roof leak? 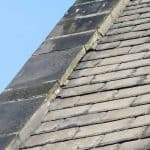 Do you have damp patches and do you have missing tiles on your roof? Ultimately, do you have any roofing problem in Barnsley? If so, Barnsley Roofers can help. Here at Barnsley roofs, we have been providing a commercial and domestic roofing service across the area for over twenty years. We are proficient in roof repairs, new builds and flat roofing and have talented engineers who hold all the current roofing qualifications. 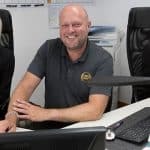 Our reputation as top quality Barnsley roofers is built up on a hard working ethos, knowledge of the area as well as the feedback we get from your neighbours and people within your community. We understand that any roofing problem should be treated as an emergency and that lives and lifestyles can be affected should a problem continue for too long. Therefore, we aim to complete every job quickly and efficiently, use the latest technologies and provide a service for a cost effective price. 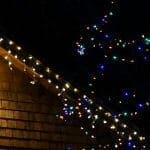 We also have options available where we can repair the issue quickly so that the home or area is habitable before carrying out more extensive work. We cover surrounding areas such as Silkstone, Cudworth and Darton whilst also dealing in the town centre. Our recent project section shows some of the larger commercial work we have undertaken, but we also deal regular with smaller scale tile replacements or flat roofing relines on outbuildings or garages. We offer a property maintenance service within the area. 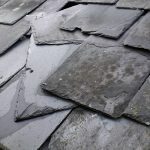 This is beneficial should you have a problem clearing leaves off the roof which clog up guttering, or need to have holes filled up, where the mortar has broken away. For more information on the complete extensive range of services we offer, or to arrange for one of our team to come and diagnose your problem, please call Barnsley Roofers on 01226 920061. We have experienced roofers on hand who want to help you out, so please do not dely.